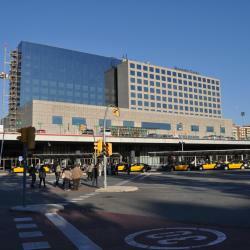 Looking for hotels near Vall d'Hebron Metro Station? These apartments with free Wi-Fi are located in Vall d’Hebron, in the hills above Barcelona. Penitents and Vall d'Hebron Metro Stations are both less than 10 minutes' walk away. ABaC Restaurant Hotel Barcelona GL Monumento features a Michelin-star restaurant, a spa, and stylish rooms with Samsung 4K Smart TVs, free high-speed WiFi, hydromassage baths and rainfall showers. Offering a free continental breakfast and amazing views of Barcelona, Anita's Bed and Breakfast is in the residential district of Penitents. Featuring free WiFi throughout the property and a terrace with mountain and city views, House in Horta is a holiday home located in Barcelona, 0.7 mi from Park Güell. 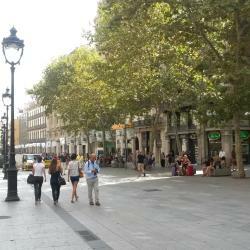 Offering free Wi-Fi, La Mejor Zona de Barcelona is located in Barcelona. 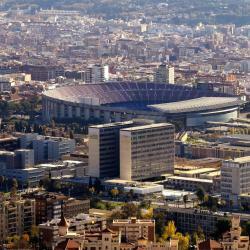 It is 656 feet from shops and 1.6 mi from La Sagrada Familia and Plaça Catalunya. Set on Tibidabo Hill, the 5-star Gran Hotel La Florida offers spectacular views over Barcelona and the Mediterranean Sea. Guests enjoy free access to the beautiful Spa. Set beside Barcelona's Francesc Macià Square, Vincci Mae features a terrace with a plunge pool and fantastic views of Diagonal Avenue and Tibidabo Mountain. The bedrooms were excellent with a fantastic bathroom! Breakfast was superb! Housed in a 19th- century modernist building, just behind La Pedrera, H10 Casa Mimosa offers an impressive chill-out terrace with a plunge pool and a sun lounger area with privileged views of Casa... A truly excellent hotel, surpassing all expectations. Located on the fashionable Paseo de Gracia, within 5 minutes’ walk from both Gaudi’s masterpieces Casa Battló and La Pedrera, Monument Hotel offers luxury services including a gourmet restaurant and a... Spacious room, great location. Offering stylish rooms with free, high-speed Wi-Fi and iPod docking stations, Primero Primera is located in the Sarrià district. A nice surprise for a hotel in Barcelona. Very clean and classy. Alma Barcelona is in an attractive building just off Barcelona’s Passeig de Gràcia. 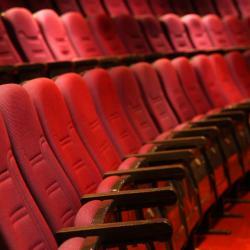 It offers a spa, a stylish restaurant with a terrace, and air-conditioned rooms with free Wi-Fi. The location is fantastic and the garden at the back is excellent. ABaC Restaurant Hotel Barcelona GL Monumento features a Michelin-star restaurant, a spa, and stylish rooms with Samsung 4K Smart TVs, free high-speed WiFi, hydromassage baths and rainfall showers. With only 15 rooms, the service is highly personalized. Set in Barcelona, 1312 feet from Sagrada Familia, Hotel Barcelona 1882 has an outdoor pool and a fitness center. The 4-star hotel has air-conditioned rooms with a private bathroom and free WiFi. Beautiful rooms, great location within walking distance of all of the main attractions. 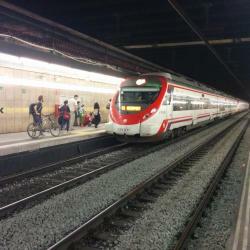 Hotels with great access to Vall d'Hebron Metro Station! HG City Suites Barcelona is located on the edge of Barcelona’s popular Gràcia district, 984 feet from Fontana Metro Station. It was just updated and remodeled . The staff were always in good mood for help . 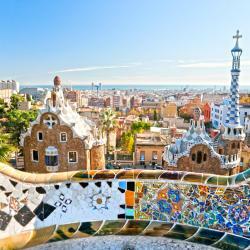 Located in Barcelona, 0.6 mi from Park Güell, Hotel The Originals Le Palacete features a terrace and views of the garden. Guests can enjoy the on-site bar. Rooms come with a flat-screen TV. It's a beautiful place. A classic building beautifully restored. 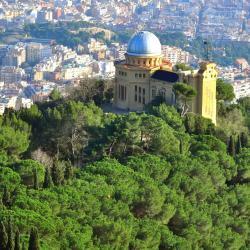 Set on Tibidabo Hill, the 5-star Gran Hotel La Florida offers spectacular views over Barcelona and the Mediterranean Sea. Guests enjoy free access to the beautiful Spa. Amazing room with a beautiful view. Very good spa facilities, not big but just good. Good breakfast. Located in Barcelona’s Gracia District, Hotel BestPrice Gracia is located 1476 feet from Joanic Metro Station. If offers modern, air-conditioned rooms with free WiFi. The staff was amazing, and the room was crystal clear.